It was roughly 10° (F) Sunday morning, and these intrepid aliens seemed undaunted by the cold. They were also puzzled by questions from the assembled throng inquiring how they intended to ride across water on their bicycles. When told that bikes on our planet would sink to the bottom of the lake, the three creatures guffawed. The alien on the right who went by the moniker, “Tom,” informed us that not only could their bikes ride on water, they could also fly when fully powered. 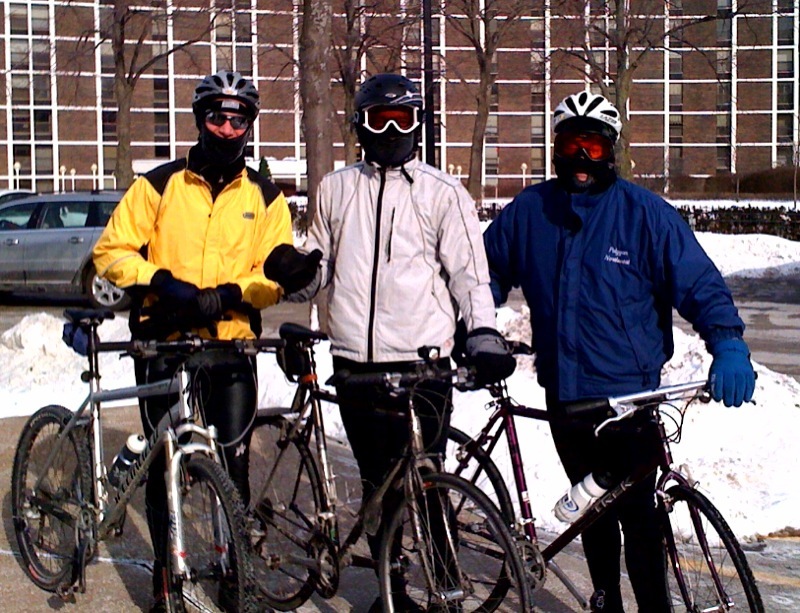 With that, the three mounted their alien two-wheelers and pedaled off toward Lake Michigan. They were last seen off the coast of Evanston, Illinois, riding off to the horizon in a peloton of three.